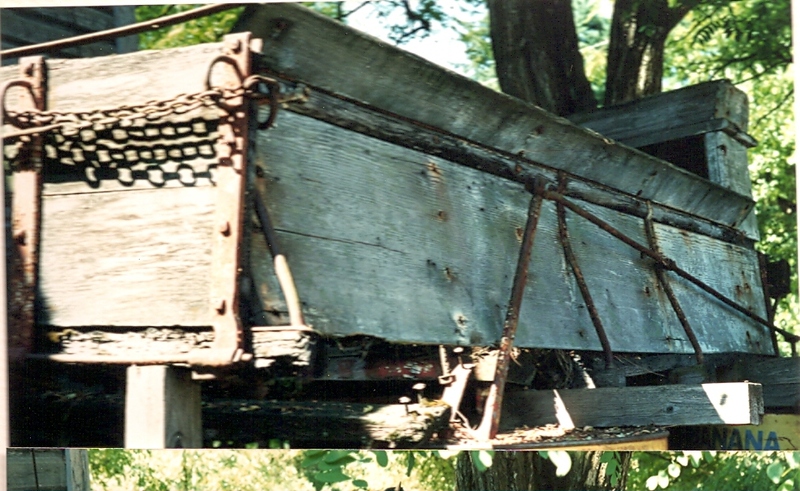 This wagon was found near Chehalis, WA behind a barn and was full of wet, rotten fiber- board. 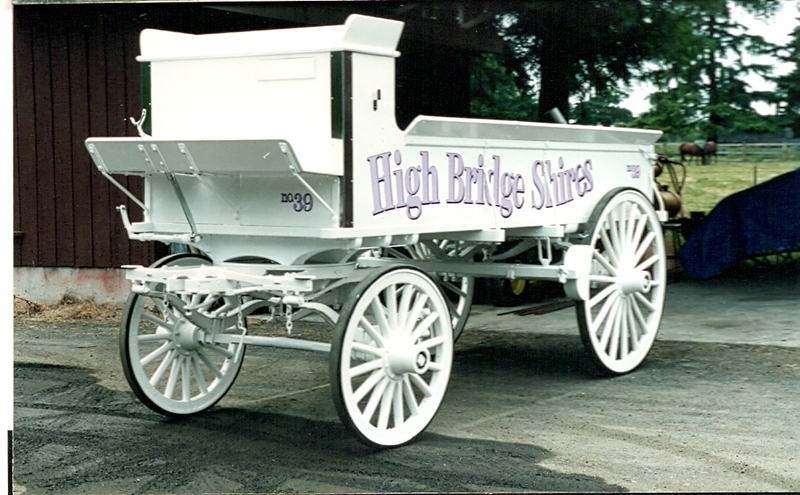 The story was that it had been built in Portland, OR, and had been used by a dairy there. It was subsequently sold into the Chehalis area to a butcher who used it to deliver meat to the local stores until sometime in the 1950’s. 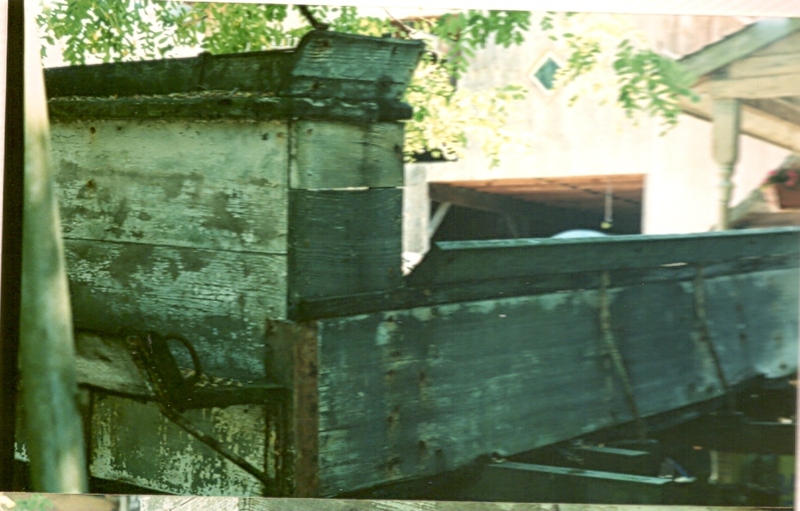 Almost all the wood was rotten or soft. The only good wood was in the turntable assembly and the hubs of the wheels. All of the iron was good. 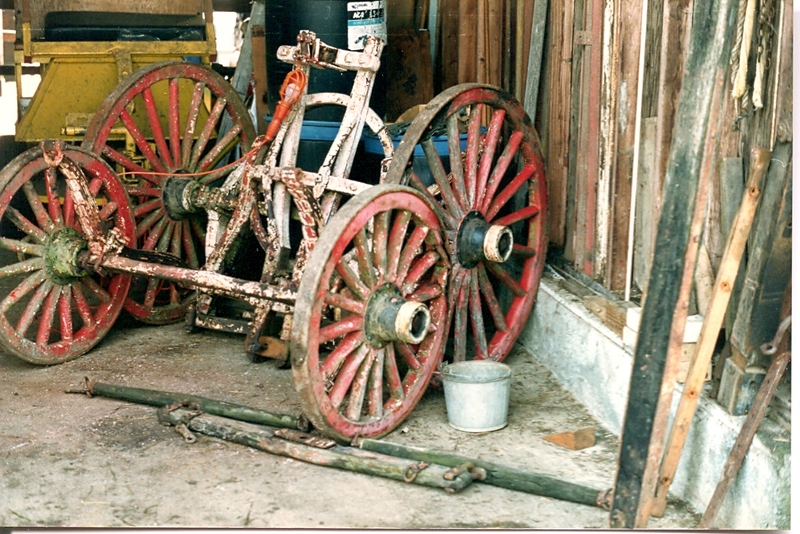 We dismanteled the enitre wagon, sandblasted all of the iron and treated it with rust inhibitor. We built new wheels on the original hubs and then built a new box. 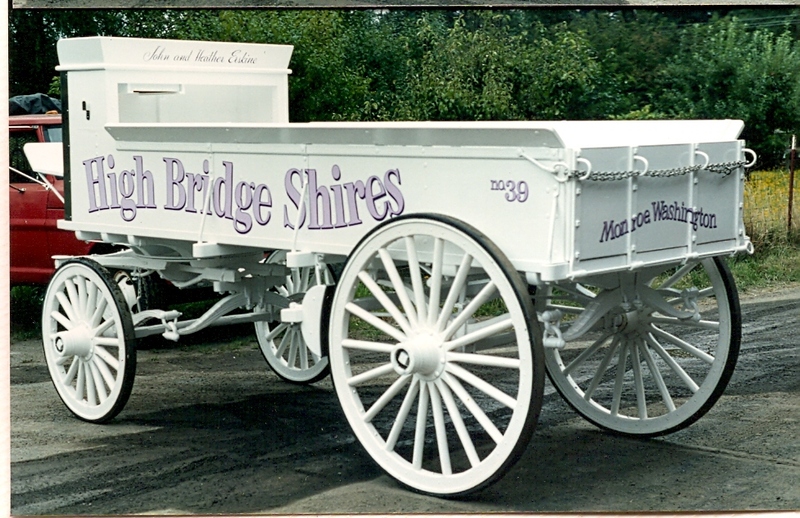 We copied the same dimensions from the old wagon. It ended up being the same wagon with all new wood, one-inch poplar, with all of the dimentional lumber being oak. After many hours of sanding and painting, it was ready for the street and show ring.